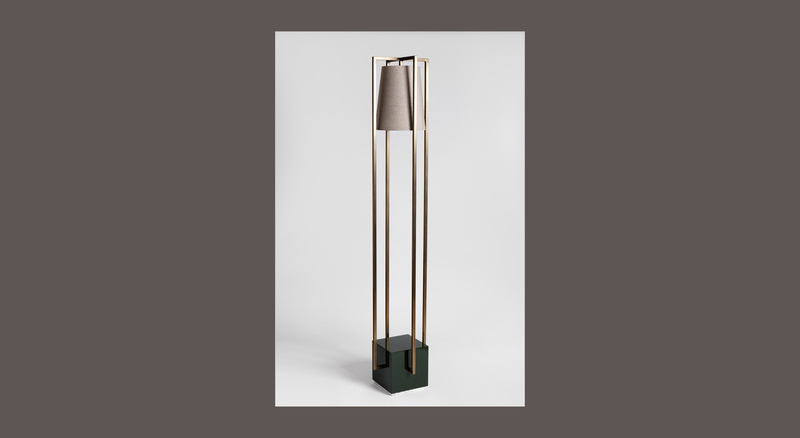 Hurricane F, is the only floor standing lamp of the range. Says Griem “The inspiration came from the classic Hurricane lamp (or Kerosene lamp, as it is sometimes called) . I love the shape of the traditional Hurricane lantern and set out to create a luxury version for modern life.” The original shape of the lantern is transformed into four elegant square sections supported by the box, that meet at the top and support the light. The feature of this light is that the shade itself has no rigid framing and sits protected within the metal frame.